Are you planning a major round of home improvements? In this major article, we have combined everything you need to know how to remodel a kitchen. If you simply want to read parts of it, press the links below. Remodeling your kitchen is not the simplest task you can take on. You can make the best of it by arming yourself with information. The advantage to knowing the facts about kitchen remodeling is that you can make the best plan possible. These facts will make it easier for you to make design choices. By weighing these facts you ensure the best possible outcome. It’s not cheap: The average cost for a kitchen remodel is $20,000. This cost is for an average sized kitchen of around 70 square feet. As the space you are in increases, the average cost increases. This cost will increase if you select exotic materials as well. Always remember to plan for more money than you think you will need. The unexpected will happen: The best idea is to keep a 15% buffer. This buffer is to cover the unexpected problems that come up during. An older home will often require an even larger buffer because you will find more unforeseen problems. The unused money is great for those finishing touches at the end of the project. Ideal kitchen work space is a triangle between stove, refrigerator, and sink with the sum of the sides no more than 21 feet, no less than 9. Keeping the cabinets isn’t always best: The idea of refinishing existing cabinets is only cost effective if they are in good condition. If your cabinets require extensive cleaning, or repair, take the costs involved into consideration. Don’t forget the labor costs when making this decision, unless you do the repair and refinishing yourself. Going simple can save: If you like the idea of an expensive material but can’t afford it you may have an option. You can sometimes get more expensive woods in simpler styles for a better price. Always take the time to check a supplier’s catalog more deeply to see what is available in these simpler styles. Custom cabinets are not always better: Sometimes manufactured options are better than custom cabinetry. It is often more affordable than custom work, which helps the budget. Also depending on the two choices the manufactured cabinets may be better with humidity and durability as they are made in a controlled environment. You will likely need new countertops: Old countertops may not work with new cabinets. Even if they have the same footprint when you remove old counter tops they are often damaged. Fitting them back together can become a jigsaw puzzle you just don’t need to deal with. You have to be careful with contractors: Not all contractors are reputable. Be careful about your contractors, use BBB and reviews from previous customers. A good contractor can make your project run smoothly, on budget, and be completed on time. A bad contractor can cause your costs to shoot through the roof without warning. You must take great pains to look into your contractors to ensure you have one that is reputable. Your dream kitchen may not be everyone’s: When making design choices try not to be overly specific to a style that only you like. The more personalized, the less it helps resale value and the less return on your investment will occur. While you may love late 12th century Italian countryside décor with bright purples and oranges, the next owner of your home probably won’t. You can overspend: The sweet spot for your budget is between 6-10% of your home value. Often the impulse is to sink every dollar you can into your remodel. This often results in a kitchen that is priced out of the rest of the house. It makes little sense to have a $50,000 kitchen, and a bathroom from the 70’s. You have to fix damages first: Always fix any damages before adding something new. It isn’t glamorous to sink money into repairing a water damaged subfloor, or repairing wiring that is out of date. But you have to do these sort of repairs before you can add new elements to your kitchen. Open is not always better: While open concept kitchens are all the rage in current design, think this through carefully. This article from slate.com gives a great argument for not opening up your kitchen. On top of the very good reasons in the article, you save money by not having to remove walls. People like the look of stone: Although pricey, if you are going for a high end kitchen you almost have to select some variety of natural stone. Natural stone doesn’t always have to mean Carrera marble though. Granite and other varieties of stone can make your kitchen what others want, without breaking the bank. Planning keeps costs down: A good plan will save you costs in a lot of different ways. Good planning helps you avoid costly mistakes, and makes sure you buy exactly what you need. Never neglect to plan at each step, the benefits are well worth the effort. Often a good plan can take months to complete. Get a general contractor: You probably need a general contractor unless you have a lot of remodeling experience. A general contractor might seem an unnecessary expense at first. A general contractor has relationships that are important. He knows subcontractors that will get the job done right. Also a general contractor can get a discount where a home owner can’t. You don’t need a gourmet stove: The sad but honest truth is that almost nobody is a gourmet cook. This means you don’t need to buy the most expensive gourmet stove you can find. A regular high end stove is usually more than adequate. Avoid the great cost of the stove, and select one that will be useful without being more than you need. Quality is less expensive over time: Although quality materials are more expensive up front, over time they are actually more affordable. Cheap materials wear out sooner than quality ones. Spending the money up front will keep you from having to do a costly replacement sooner rather than later. You need more than one light: Your kitchen is a work room; it requires enough light to work with. This means you need some task lighting as well as room lighting. A good mix of lights will allow your kitchen to be both warm and inviting, and useful. Kitchens are the second most expensive room to remodel: Be prepared to spend more on your kitchen remodel than on a bedroom or porch. If you have remodeled other rooms, you need to be prepared to spend more. You need a wish list: As you begin making decisions regarding style and materials you need to make a detailed wish list. This wish list should contain pictures, drawings, textures, and the colors that you want. The more detailed your wish list the better a contractor will be able to judge the cost and time involved to fulfill your wishes. Get certified products: If you can, select products certified by the Kitchen Cabinet Manufacturers Association. The benefit to doing this is that they subject materials to extensive wear tests. These tests put the objects to the same sort of wear they would encounter over years of use. This includes temperature ranges and spills to ensure that they can hold up to use. Roll outs gain you space: You can have more usable space with roll outs in your cabinets. These options allow you to access the full depth of your cabinets easily. This means you often need less cabinets to accomplish the same amount of storage. Having materials on hand speeds up the process: If you have the storage space you should purchase all your materials before you begin the process. Having all of your material on hand makes sure that you aren’t paying laborers for days where they can’t work. If you keep all these facts in mind, you can make your project more of a success. Any remodel is complicated; a kitchen remodel is one of the most complicated to take on. So you have decided to remodel your kitchen. How to remodel a kitchen is one of the questions we are going to answer for you. Such an expensive task isn’t something to do without a plan. It is a massive and expensive undertaking. To help you get through this complicated process, we have broken your kitchen remodel down into 12 steps. Just follow the step by step guide and your project will go smoothly. If you do it well, you may recoup up to 67% of the remodel cost on the resale of your home. 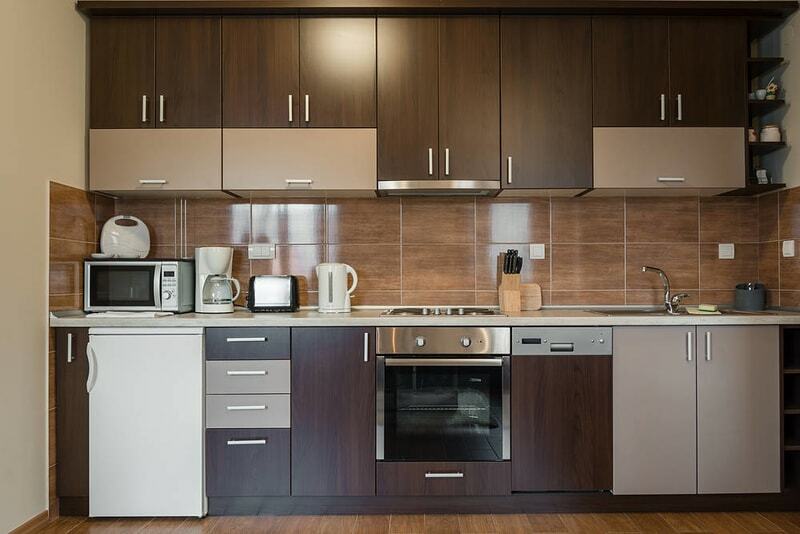 Before doing anything else take a look at your current kitchen. The benefit to doing this is that you can decide what parts you like, and what parts do you not like. This examination of what you have in place will help you to determine what you should change. When looking at your current kitchen you can also determine which appliances you can keep, and which you need to replace. Before any work is started plans need to be made. This begins with you sketching out a rough plan. This sketch should be as detailed as you can make and include all your decisions on the various options. Include information about any walls that you are considering moving, appliance locations, and placements of cabinets and sinks. Make notes about what sort of things you want to put into your kitchen. The appliances you select can have a large impact on the final design of your kitchen. Different flooring options create different requirements for contractors as well. Be as clear as possible when creating this initial plan. Once you know and have an initial plan you can begin finding kitchen contractors. Your first decision is to choose between hiring a general contractor and doing the job of a general contractor yourself. If you are going to use a general contractor, then you are basically done at this point. The reason to hire a general contractor is that they will hire and arrange the schedules of all the other contractors that will be necessary. The advantages to this is that a general contractor already has subcontractors that they work with and know will do a good job. If you decide not to hire a general contractor, then you need to look for the subcontractors yourself. This means that you need to carefully compare contractors based on price and reviews. Selecting the right contractors is one of the biggest decisions you will make. The wrong contractor can add thousands to tens of thousands of dollars to your cost. Carefully consider the reviews of any contractors that you select. Cheaper is not better in most cases. Once you have your plans, and the contractors to take them from paper to reality, it’s time to finalize your designs. Discuss the plans with your potential contractor(s) and make any changes necessary to stay within budget. The advantage is that often your ideas may seem perfect on paper, but a contractor will point out hidden costs that you didn’t consider when it was just an idea on paper. Once the plan is basically complete you can hit the details. This is often more stressful than coming up with a plan. The fixtures and styles portion of your decision making will be what creates the look of your kitchen. It is in this area that the budget comes into major consideration. Countertops ($3000)– The decision on your countertop needs to take into consideration not only look but upkeep. If you are not interested in maintenance and refinishing, or you have small children that will spill stain causing liquids then you need to keep this in mind. Sinks ($2000)– When considering sinks your decisions are the material the sink is made of, whether it is a single basin or a divided basin, and depth. These considerations can be combined in a seemingly endless variety. Ensure that your sinks, cabinets and countertops all work together. Lights ($400/light)– Proper lighting includes thinking about the overall lighting, over the sink lighting, and under counter lighting. Also keep in mind the impact of natural lighting, and how this can be maximized. Flooring ($2300)– The kitchen flooring you choose needs to be something that works in your kitchen. This means avoiding carpet and other materials that stain easily. Some great choices are vinyl, linoleum, and tile. Hardwoods are another acceptable choice, however make sure they are completely sealed to ensure they can withstand the inevitable spills. 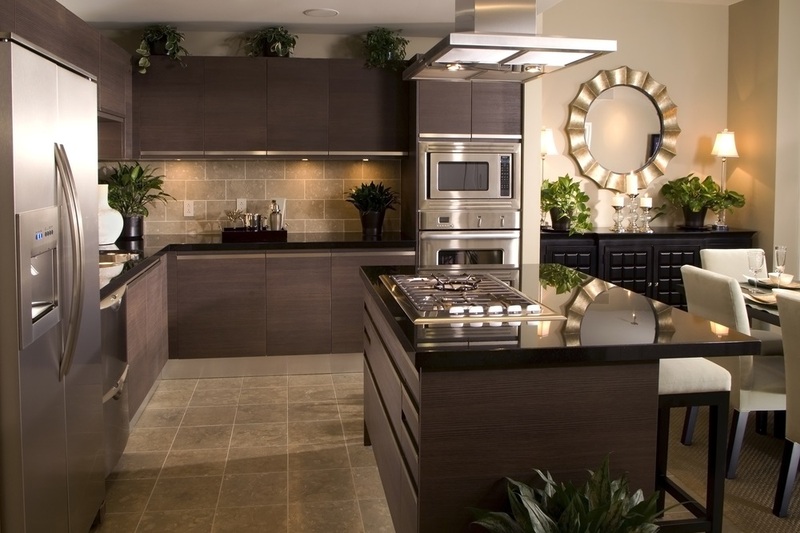 Backsplash ($20/sq ft)– Your blacksplash can often be an expensive option in your kitchen. This can be done as tile, or as a single material, depending on your design choices. Hardware ($5-$10/handle)– The hardware in your kitchen compliments the overall style and design that you are going for. Often these little touches can make a big difference. Once you have selected the materials and drawn the sketches a detailed plan must be made. A qualified architect will take your sketch and turn it into actual plans. This will take into account the actual structural design changes that are necessary to complete the project. These finalized plans are the ones that are submitted to your local building or permitting authority. File for and obtain all the necessary permits before beginning any work. This permitting step is of great importance. If you plunge forward before obtaining permits you can be midway through a remodel and have to stop. This can incur costs for contractors waiting to work, some work may even have to be redone to comply with a change to get a permit approved. Once all details are completed it is time to hire the contractors that you have contacted. Ensure that you arrange good contracts that clearly specify the work to be done. Time frames should be settled before work begins to ensure the contractors can complete work in a time frame that works for your family. The workday schedule should also be determined so that everyone knows how the work will be completed each day. Before the actual work begins there is preparation that must be completed. What will your family do for a kitchen while this work is being completed? Arrangements for storage of all of the things in your kitchen must be made. Good preparation will help your remodel go smoothly. Also consider that workers will need to get to and from the kitchen. Protection of your floor and property must be done before work commences. Also, depending on your floorplan, you may need to block off areas of the house completely. Ensure that as your kitchen remodel begins you make sure that everything is fitting into your overall plan. While it is never good to “bug” your contractor over every small detail you have every right to make sure that things are being done to your satisfaction. Remember that at this stage your kitchen will seem to be in chaos and you may not be able to “see” the final in your head. But if you requested a wall to be moved and nothing looks like it is happening you should speak up. While the work is being completed don’t forget to occasionally check on the progress of the work. Should anything appear to not be as you set out to the contractor the time to bring it up is when you notice it. Waiting for the entire project to be completed to point out an apparent mistake can be costly. Also if the timeline that was agreed upon isn’t being met, this is another discussion that you should have with any contractors doing work. If you are using a general contractor these points should be raised with them. Finally! The actual work is completed. You should have a finished kitchen at this point in the process. As the work ends don’t forget that the final cleanup should be done as well. Any trash and debris the contractor is responsible for needs to be addressed as part of the completion of your remodel. Remove any protective papers or plastic you have put down and have the contractor give it a thorough cleaning before you do any sort of final review of the work. Often small mistakes, scratches, or other problems may be more visible when the kitchen has been thoroughly cleaned. Once a project has been completed it is time for a close look at the finished work. This should be developed into a list to be passed from home owner to contractor. 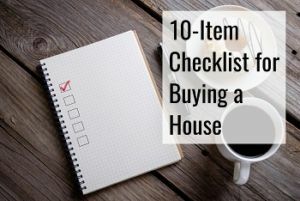 This list will specify what items the home owner wants addressed to consider the job complete. Final payment shouldn’t be made until this list has been addressed. Nowadays, more and more homeowners are focusing on their kitchen. A lot of homeowners are making a huge investment in order to make their kitchen better and more functional. If you have the budget for it, you can make it bigger because that can help you improve its functionality since you can add more things to it. However, you don’t really need to do this in order to have a better kitchen. Even if you have a small kitchen, you can still have a beautiful and functional kitchen with the right ideas. This article will present to you some practical ideas that you can apply to your small kitchen. Try them and instantly improve your kitchen. You can do these ideas if you’re just looking to enjoy your time in the kitchen more. You can also do them if you’re planning on selling the house. As you probably know, the kitchen is a major determining factor. 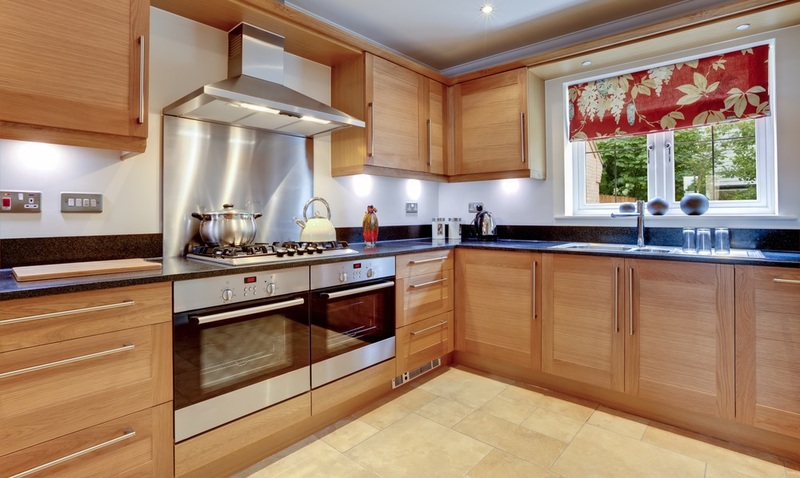 If you have a good kitchen, you can easily sell the home at a higher price. Whatever the case may be, read on and try these ideas in your own home. Adding shelves is the answer if you need more space. Better yet, add wrap around shelves. They’re better since they maximize the little space that you have. Utilize every inch of your walls, even way up on top. You can use these shelves for pots, pans and the likes. Make sure to choose a good design so that it’s going to be aesthetically pleasing as well. If you have space for it, use cabinets instead of shelves. Cabinets are more secure than shelves and are cleaner to look at. It provides you with a good view. You can look outside the bigger windows and relax especially if you have a good yard. You can have more natural light. This can help you save on energy bills and it makes your kitchen cozier as well. It creates the impression of a bigger space. Make sure to plan accordingly because if you’re going to install bigger windows, you’ll lose space for shelves and cabinets. If you don’t have a lot of things to store, then installing bigger windows can help. But if you have a lot of things to store, just stick to wrap around shelves or cabinets. 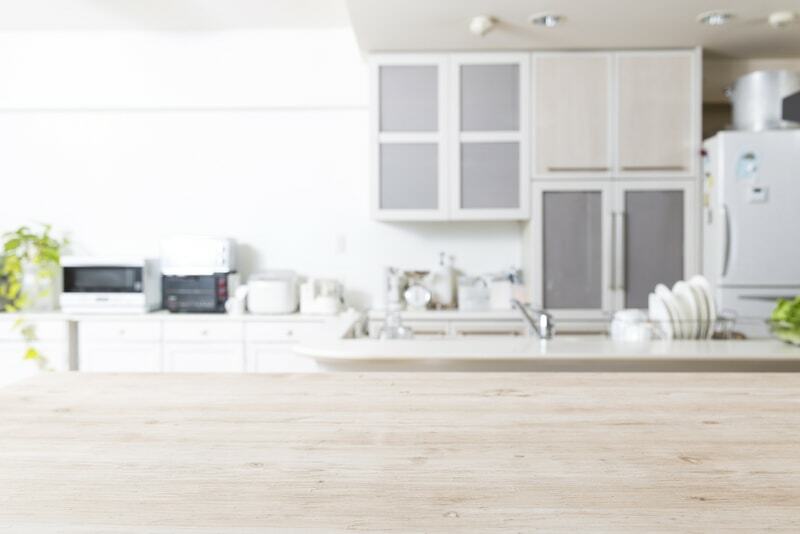 While this won’t make your kitchen look bigger, it can help make it look better. A rustic kitchen is a cozy kitchen. It can really be the centerpiece of your home and you’ll have a lot of fun cooking and entertaining guests in a rustic kitchen. You can’t go wrong with sunny yellow. Wake up with a smile as soon as you see your cheery kitchen. This is one of the most popular ideas in New York City which is known for its small kitchens in small living spaces. You can also use the color white. It’s easy on the eyes and can make your kitchen look bigger than it really is. Speaking of the color white, you can make it more beautiful by using an accent color. What you can do is use the color white for the walls and use an accent color like red for the drawers and cabinets. If you don’t have a lot of room to store pots and pans and shelves and cabinets will take up a lot of space, just hang your pots and pans! It’s a good way to save and maximize space. If you have high quality pots and pans, it’s also a good way to display your collection. It’s not just pots and pans. You can also use a wall magnet for your knives so that they don’t have to take up space on your countertop. A lot of homeowners feel that they can’t have an island in their small kitchen because it’s going to take up space. On the contrary, it can be very functional. It doesn’t have to be a big one to be functional. It can be just a small one and can really help you maximize your space. An island can serve as a table for snacks. It can also be a place where you prepare the meals. It’s also good for entertaining guests. Just make sure that you really plan on where you’re going to install it. It shouldn’t get in the way. If your kitchen is more of a dungeon, you may want to improve your lighting. There are a lot of things that you can do depending on what you want to achieve. Just make sure to use cozy lights and make sure that every inch is well-lighted. Of course, make sure to improve the natural lighting as well. 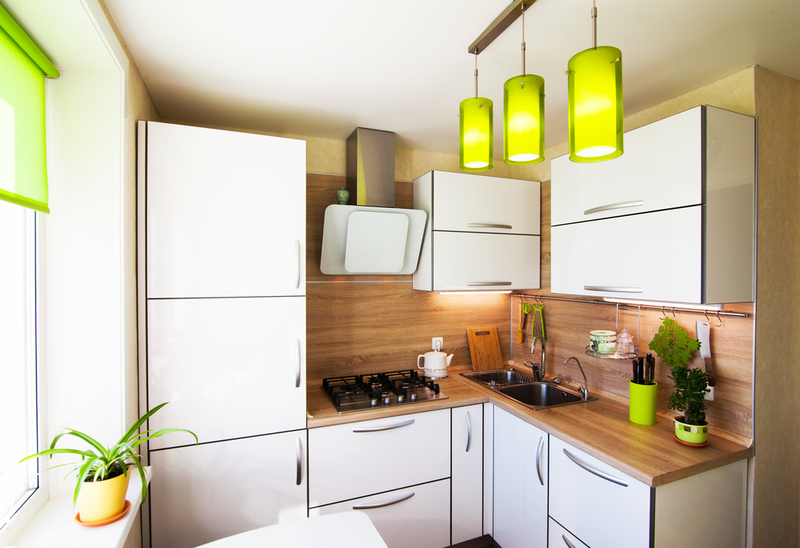 If you have a small kitchen, you can invest on appliances to improve its functionality. Better yet, improve on sleeker and modern appliances. For example if your ancient refrigerator is taking up a lot of space, replace it with something sleeker and more functional. Don’t be afraid to mix and match. Introduce some contrast. This is a good conversation starter and will improve the appearance. For example, you can have a rustic kitchen with modern appliances. It’s getting the best of both worlds. This is a good strategy especially for the cabinet doors. Glass is more modern and as a bonus, it creates the illusion of more space. If it’s been a long time since you renovated, your flooring might be outdated. It’s time for an upgrade. Invest in good flooring. Good flooring can improve the appearance and if you choose a good design, it can make it look bigger. As an idea, you can create a separation in your kitchen by having two types of flooring. That creates the impression of a bigger kitchen. These are good and proven ideas so try them out. Just make sure to plan accordingly which includes determining what you want to achieve – better looks or functionality. Remodeling your small kitchen can be a great chance to be inventive. A small kitchen remodel has advantages and disadvantages not found in a standard kitchen. When remodeling your small kitchen, the goal is to make the most of your space. This means you need to be creative and look at things that will either make it look like your kitchen is larger, or maximize the space you have. Use mirrored cabinet doors: Mirrors can make a space appear larger. This can be overdone though. Putting mirrors on your cabinet doors will make your kitchen seem larger. Placing them just on the cabinet doors gives the advantage of not going overboard with mirrors, but still opening up the space visually. Use open shelving: If you are not a fan of mirrors, another option is to use open shelving. By removing the doors of cabinets you increase the visual space. Keep in mind the disadvantage to this is that if you have shelves that are disorganized or overfull you will defeat this purpose. So keep your cupboards organized if you decide to go with open shelving. Be careful with dark colors: Dark colors have a tendency to take a space and make it seem smaller. Try to avoid dark woods and dark counters when putting together your small kitchen remodel design. Brighter colors make a space feel more open. If you are set on a darker color scheme ensure you have enough natural light, or light fixtures to balance this out. Maximize storage space: To get the most out of your small kitchen design you need to make the best use of your storage space. There are corner storage options that will help you use this dead spot in most kitchens. Also never forget the vertical space that is available to you. Extending your cabinets to the ceiling can give you the storage you need in your smaller space. Glass doors that lead to deck space: A great way to make your kitchen look open and airy are glass doors leading outside. If you have an outdoor deck, or the space to construct one this gives a small kitchen the feeling of space. This is one of the most expensive ways to make the space look larger, but the results can be well worth the expense. island is to use a tea table. These thinner tables often fit perfectly. An added bonus is that a tea table won’t block the line of sight like a traditional island will. This open space under the top of the table helps your kitchen look larger. Conductive surface that doubles as counter space: One of the more inventive options for your small kitchen remodeling is to use a conductive surface instead of a normal stove. The benefit of using a conductive surface is that it can also double as counter space. This creates another 2 or even 3 feet of linear space on your counter. Use backless chairs to save space: if you have a bar, or a table in your kitchen, use backless chairs. Using chairs without backs clears sight lines. This gives the appearance of there being more space than you may actually have. Backless chairs can be found that are the correct height, often bar stools are too tall for standard tables. Utilize vertical space: If you don’t need the vertical space for storage then keep your cabinets smaller and leave the space above. 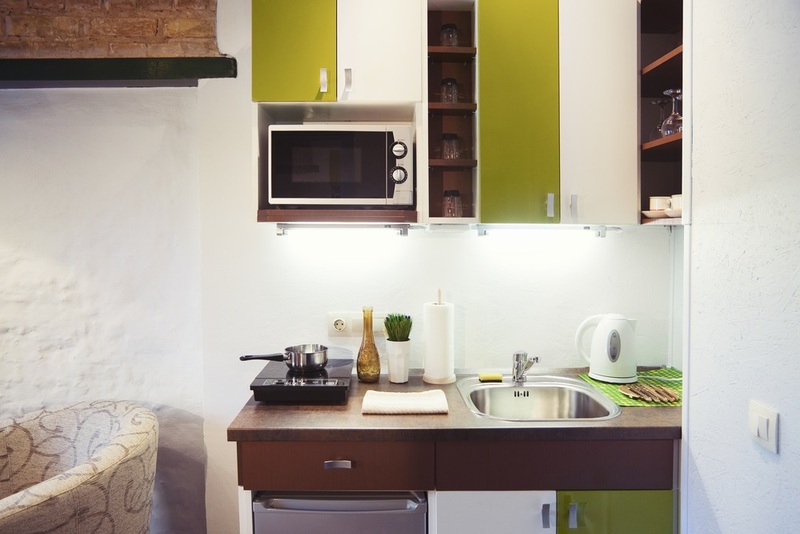 Add in a light on the top of your cabinets for a unique way to make your small kitchen seem more spacious. By directing light up from the top of the cabinets you bring the viewers eyes up as well, distracting from the small space. Keep the space focused: In today’s world, there is a tendency to try to make the kitchen into a multi-purpose space. Your small kitchen isn’t the best spot for this. A small kitchen needs to be focused on being what it is, not a home office, kids playroom, and teen study area. Keep it focused on food preparation and you will make the best use of the smaller area. Utilize other rooms for the other activities. Use different textures and style to create variation: Small spaces don’t have to be bland and uninteresting. Often the idea is to keep it clean, white, and lacking details. This doesn’t have to be the case though. By using different styles and textures, you can actually make the space more interesting. This visual interest can often distract from the smaller space you have for your kitchen. Use glass doors: If the idea of open shelves is unappealing consider glass insets or doors in your cabinets. Lightly frosted glass will give you some more visual space, but also not require you to have designer plates. Color choices can create visual space: Bright colors help a space seem larger. When picking a color scheme, keep this in mind. Keep your colors bright and inviting and make your project a success by giving it the feel of being much larger. Be sure not to be completely different from the other rooms in your house though. Avoid having a neutral color scheme in the rest of the house, and neon colors in one room. Don’t fight the facts: Sometimes you just need to embrace your size. If your kitchen is small, then embrace the fact and make the best of the situation. Instead of using things to try to make it seem larger, simply put exactly what you want into place. Ignore tips to make it look larger, and just remodel to your own personal tastes. Wrap around shelving maximizes space: Use wrap around shelves to gain space. Sometimes you can ditch cabinets and just use shelves for your plates and spices. Wrapping these shelves around the corner gains you some storage space in the corners of your kitchen. Utilize wasted space: Often we forget to use the spaces we can’t see. When considering your storage options think about places that are sometimes forgotten. Gain some space by putting a shelf above the door into your kitchen. Or put some shelves above your refrigerator. Don’t forget those corners. Hang pots: Try hanging your pots on hooks, either above an island, or on the wall space above counters. This cute design choice may allow you to take a cabinet out of the space and free up more square feet in your remodel. Natural light: Do your best to bring more natural light into your kitchen. There is something about natural light that makes a space feel larger and more alive. Consider making the window larger, which will also make the space seem bigger. If you are unable to make the window larger look at a skylight or light tubes. Either of these options can bring in the light you need to help your small kitchen seem larger. If you go dark make it reflective: If you absolutely must have your dark cabinets make them reflective. Choose a finish that reflects instead of a matte finish. This reflective finish works by increasing the impact of your lighting, and by working similar to a mirror. Large art can distract from small spaces: Another idea you can try is to select a couple of oversized pieces of art for the walls of your kitchen. Sometimes a large piece can make other things around it seem smaller. Use thin lines: Avoid bold thick lines in your designs. When putting elements in that include repeated lines try to keep these lines thin. This will help make your space not seem so cluttered and busy. Also use light colored grout to not make the space seem even smaller. When considering tile floors, this can be a big boost to how large your kitchen looks. Use the same walls/floors to include kitchen in bigger space: While it might seem odd to say that floors can make a space seem larger it is true. If possible, use the same flooring that is in the adjacent room. Using the same flooring ties the two rooms together and makes the space seem larger. Your kitchen floor can have a big impact on your remodel, select the one that works best and adds a feeling of space. Smaller sized appliances: If you’re a small family, a single person, or a couple you can gain space with choosing smaller sized appliances. A smaller refrigerator, a two burner stove. Either or both of these smaller than standard appliances will free up valuable space in your small kitchen. Use a sink cover to gain some counter space: Purchase a sink cover to gain some space. A sink cover can be found, or made that looks the same as your counters. This gives you the added space without being glaringly obvious. This is more useful when you have a double sink, cover one and you can still use the other sink. A small kitchen needs some extra attention for it to be a success. If you keep these tips in mind you can make your small kitchen have big impact. The benefits to a small kitchen remodel is that you can often select higher priced materials. This can give your small kitchen a much more upscale or luxury look than you may have been able to afford if you were remodeling a large kitchen. A small kitchen can also sometimes make better use of remnants where a large kitchen may not be able to. So, you have decided to renovate your kitchen. Where to begin? The sad truth is that it all begins with money. So you need to know how to determine the cost of your kitchen remodel. We have gone out, found the facts, and put them together to save you some time. As in any remodel, nobody can give you a fixed price for your project. What we can do is give you some information on the general and average costs of elements of your kitchen remodel. With a bit of ingenuity and dedication you can take these numbers and apply them to your own situation. Keep in mind that almost every remodel will come with hidden costs. As you remodel, be prepared for these unexpected costs. These costs come from hidden problems, to permits you didn’t think you would need, to unavoidable delays. Set aside at least 15% of your total budget to cover these costs. On average homeowners spend between $12,000 and $29,000 dollars. Remember though, this is an average and your costs will vary widely depending on the size of your kitchen and the materials and appliances that you select. The upper end of a standard kitchen renovation can run up to $45,000. As for how much you should spend on your kitchen, this is also a rough number. On average you should spend no more than 15% of the total value of your house on your kitchen. You may wonder why because it seems strange to say don’t spend every penny you have available. The problem comes in when your kitchen looks straight out of a magazine, and your living room is normal. You can overdo one area and make it look like it doesn’t belong in your home. New cabinets cost on average of $120 per linear foot for standard cabinetry. When you have a fixed amount that you can spend, it is often more helpful to look at how parts of your small kitchen remodel will cost. The advantage to this is that you can look at the larger picture and make decisions regarding what you should buy before starting. Labor can be anywhere where from 20 to 35 percent of your project costs. One of the most visible options in your kitchen are your countertops. The most common choices are listed for you to get a good idea of the costs involved. Concrete ($2,600 – $5,300): A durable option, resists stains if sealed properly, but sealant will need to be reapplied periodically. Laminate ($1,200 – $2,000): Laminate/Formica is stain resistant and easy to clean. However it is often seen as cheap and can be damaged by sharp objects and extreme heat. Metal ($2,000 – $7,000): Metal is one of the most durable options that you can pick. It won’t melt, resists stains and doesn’t crack. It can scratch though and if scratched is often impossible to repair. Stone ($4,000 – $7,000): Natural durability including heat resistance, resists scratches as well. Regular maintenance is required, and stone can chip from impacts. Tile ($1,000 – $4,000): Tile is a more inexpensive countertop option. The good news is that this can be a DIY project. The bad news is that it is often difficult to clean and it is prone to chips and scratches. Wood ($2,000 – $7,000): This is good choice for those looking for a renewable option. Wood is heat resistant, but can be scratched. It must be sealed properly to resist stains though. Cabinets often make a room’s first impression. If your cabinets are dated or damaged, potential buyers may walk away with a bad impression. The cost of new cabinets varies depending on whether you opt for custom or stock cabinets. Stock cabinets ($80 – $400) These are the kind of cabinets most often found at Ikea or other big box stores. The most affordable option, but this means the designs, colors, and styles are limited. Semi-custom cabinets ($150 – $1,000) Semi-custom cabinets are still found at the big box stores, but they have some customization available. The doors can be changed; cabinet depths can be varied. The styles and sizes are still somewhat limited. Custom cabinets ($500 – $1,500) As implied in the name custom cabinetry is built to your specific needs. These are created by a skilled carpenter and are made to exact specifications for your kitchen. 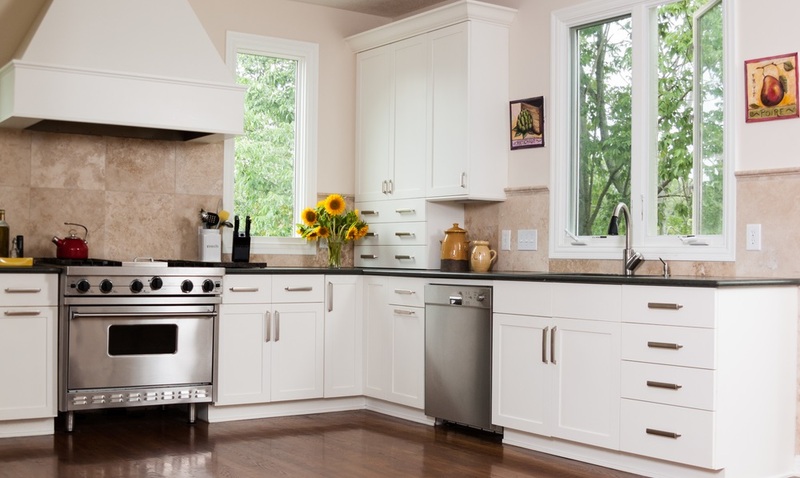 Refaced cabinets give your kitchen a new look without the cost of a complete set of cabinetry. This involves removing the current the current doors, finishes, and hardware. New doors, hardware, and facings are then purchased and put into place. The cost will depend on the new facing you select, and the cost of repairs. Refinished cabinets are less expensive since you keep all of the original elements. The doors, and facings are sanded and then refinished or repainted. Depending on how bad your cabinets are you may need a skilled carpenter to make repairs. This can increase the cost. The appliances that you choose will be a major part of your budget. This can be a choice that blows your budget completely. Be conscious of the fact that rarely do you need the highest end gourmet style appliances. If you are not a gourmet cook, and most people are not, you don’t need gourmet appliances. While we don’t suggest going cheap, go with what you will use. Efficient appliances ($200 – $3,500) Appliances that have an EnergyStar rating are those that are certified by the Energy Department. These are appliances that give the best output with the lowest energy use. For long term savings these will lower your energy bills each month. Custom built-in appliances ($1,000 – $10,000) These appliances are almost always more expensive than other options. Appliances that are custom built to fit into your décor can give you a wow factor that is unmatched by other appliances, but you pay for that wow. These are the built in refrigerator that looks like your cabinetry, and the dishwasher that looks like a cabinet. Expect higher installation costs as well. High-end store bought appliances ($300 – $5,000) For your normal higher end remodel these are the appliances that you normally select from. These appliances have all of the newest innovations. Expect to find built in extra’s that still make your kitchen look luxurious and current. Be careful of going overboard on bells and whistles though. That flat panel display may seem ultra-cool to you today, but 5 years down the road it is just a dated reminder of a technology that didn’t catch on. Budget outlet appliances ($100 – $2,000) An easy choice is to go for your standard, no frills, budget appliances. That doesn’t have to mean they are not solid dependable options though. Your simple one goal appliance can be a solid addition to your kitchen. While they may not be anything to make your kitchen look luxurious a brand new stove can still bring your kitchen into a look that is more current and less dated than an old stove. Your flooring cost is another cost that can be a large amount of your budget. There are a few special considerations. Check out our kitchen flooring guide to get some more information on what you should be looking for in kitchen flooring. Factor into your decision that your flooring needs to withstand moisture, and damage from dropped pans and implements. Ceramic Tile ($1,300): The benefit to ceramic tile is that it is extremely durable. It rarely stains and requires little upkeep. Being a brittle material it is subject to chipping and cracking if damaged. Cork ($3,000): If you are looking for an eco-friendly option cork tops the list. Made from a renewable resource cork flooring has many benefits such as being mildew and stain resistant. It is also a softer flooring making standing in your kitchen a bit more comfortable. The downside is that it requires regular maintenance and is difficult to repair if damaged. Laminate ($2,500): One of the more inexpensive options, laminates can be found in a variety of different styles and colors. Laminates will require regular maintenance to ensure it keeps it’s stain resistance. Linoleum ($1,500): Your other eco-friendly option linoleum is not the one you remember from your youth. Linoleum is stain-resistant, and does require regular maintenance. Another downside is that if there is damage to the image layer, it is not able to be fixed. Stone ($1,400): One of the most sought after flooring is stone. This includes marble, granite and other natural stone options for your floor. Stone is durable but often prohibitively expensive. Without regular maintenance it can get to a point where it easily absorbs stains. It is also sometimes uncomfortable to stand on for long periods. Vinyl ($1,000): One of the most cost efficient options is vinyl flooring. Vinyl has a good balance of usability to cost ratios. Almost maintenance free, and durable, vinyl flooring is your go to for most kitchens. The downside is that it can emit volatile chemicals, is not resistant to heat, and can be seen as a “cheap” option. Wood (hardwood, engineered wood, bamboo) ($4,000): Hardwood is another of your expensive options. Highly sought after for most homes, hardwood gives a warm welcoming look. Unfortunately this is not the best flooring for your kitchen. The issue of moisture from the sink and dropped liquids means that unless you put in the effort to ensure regular maintenance is done your hardwood can go bad quickly. Take your time as you research your kitchen costs. Keep track of the best values that you locate and build a budget that is realistic. The true cost of your kitchen remodel will be based on your wishes, and your home’s value. Plan your dream kitchen, but like the old saying goes “If your head is in the clouds, keep your feet on the ground”. Not all kitchens are the same. Each house is different, and each kitchen is also different. There are obviously costs that are changed by having a smaller kitchen to remodel. The cost to remodel a small kitchen is normally between $5000 to $10,000. This is a starting point though, and specific choices can make this amount much greater. Before beginning to make any choices, consider the purpose of your project. If you are going to sell your home within 5 years, you should focus on resale value. If you plan to remain in your home for longer than five years, then focus on comfort. For small kitchens it is sometimes difficult to find a good estimate. To help figure out your small kitchen remodel you can use the cost of an average per square foot. The average you can expect is $101 per square foot. This amount can help you determine a budget to begin planning around. As you begin looking at the cost for your small kitchen remodel keep in mind it’s not all about the things you buy. Any project will include a lot of labor. Unless you are an experienced DIY pro, you will have to hire the help. When planning for labor costs expect carpenters, and electricians to cost around $70/hour. A good plumber is going to cost around $55/hour. Painting and drywall will run you approximately $30/hour. A good kitchen designer is often one of your best investments. A kitchen designer is a well of experience that you can dip into. This might seem like an unnecessary expense. However, a kitchen designer will save you money in the long run by knowing the right contractors, where to get deals, mistakes you can avoid. So bite the bullet and invest in a good kitchen designer. Expect to pay 20% of your total costs on this skilled professional. If you plan on moving walls, plumbing, or any structural elements you will need to hire an architect. Most planning boards require architectural drawings to approve a permit. An architect can usually be found for a cost between $60 and $120 dollars per hour. When you have a fixed amount that you can spend it is often more helpful to look at how much parts of your small kitchen remodel will cost. The advantage to this is that you can look at the larger picture and make decisions regarding what you should buy before starting. The cost of your small kitchen remodel has benefits that you may not have considered. From a cost standpoint you have the option of going from a basic option to a more luxurious option. This option is available as you will need less of each material. Material amounts being less, you can select a more expensive material. Another great part of a small kitchen remodel is that you can often find great deals. Larger projects require large amounts of material. Often there are leftovers from these major projects. You can often grab the leftovers of these projects for a fraction of the cost. These are called remnants and because you are in a much smaller space they are often enough to serve the purpose. Remodeling your small kitchen can be just as expensive as a large kitchen if you let it get out of hand. The choices you make on appliances, fixtures, even the kitchen flooring you choose can catapult you from reasonable to ridiculous. Just because you have a smaller area, if you make the wrong choices it won’t matter. The average kitchen remodel can cost over 18,000 dollars. This is no small amount of money to put into a room in your house. There are some ways to make your kitchen remodel successful without breaking the bank. Take a look at these options, but have it create the kitchen you truly want. Learning how to do it on a budget isn’t as hard as you think it is. These simple ideas will have your kitchen looking amazing, without breaking the bank. Plan for success: One of the main things you can do to keep your costs down is to plan carefully and thoroughly. A good plan, and a realistic budget can make your project successful without the cost of just plunging ahead without thinking. By paying attention to the best way to do your kitchen remodel you can save the money that might be spent on costly mistakes or wrong choices. Paint the cabinets: Rather than spend thousands of dollars on the removal, purchase, and installation of new cabinets, paint the ones you have. This will make them look fresh and new, avoiding the cost of replacement. Don’t forget to clean cabinets thoroughly though before painting. Make sure all the grease is off the surfaces you are going to paint. Be creative in where you purchase: If you can be flexible in where you find materials you can save yourself a lot. Shopping online for deals, looking at the local store for a sale, even auctions and flea markets can result in great savings. Creative places like surplus and auctions can sometimes get you in below your budget. These options can often give you just enough of one of your materials to finish the smaller areas. Be careful using these options because if you do require more than you found, it’s often impossible to match them. Preserve what you can: Every item you can keep from your current kitchen is one that you don’t have to purchase. If something can be refinished, repainted, or repaired keep it. Often existing cabinets, and even fixtures can be fixed up and used again. Even appliances may not need to be replaced. A good cleaning and some appliance paint may be able to save an old stove or refrigerator. While it might be cool to get all new appliances, they can take a huge chunk out of your budget. Do the finishing work yourself: Put some sweat equity into the project. While you may require a contractor to do some of the work, do the finishing touches yourself. Learn to put some tile down, or do the painting yourself. Every hour of work you do instead of a contractor is an hour you aren’t having to pay for. Even if it takes you twice as long, you aren’t paying yourself by the hour. Fix mismatched chairs by painting them: If you have an eat in kitchen don’t forget the table. For a unique and less expensive option, use mismatched chairs. You can tie this mismatching set of chairs together by painting them the same color. This will let you purchase chairs from flea malls or auctions and save yourself a lot of money. Open shelves can save money: When thinking about cabinetry, think about using open shelving. This can often be a slightly less expensive option over enclosed cabinetry. To get the same open feel with glass doors would be much more expensive. Open shelves also have the benefit of helping your kitchen look larger visually. Consider a printed vinyl backsplash: To save some money on the backsplash you can go for a printed vinyl backsplash. This can be a great way to express some individuality that is impossible with more standard options. The advantage to this choice is any picture can be printed on the vinyl. 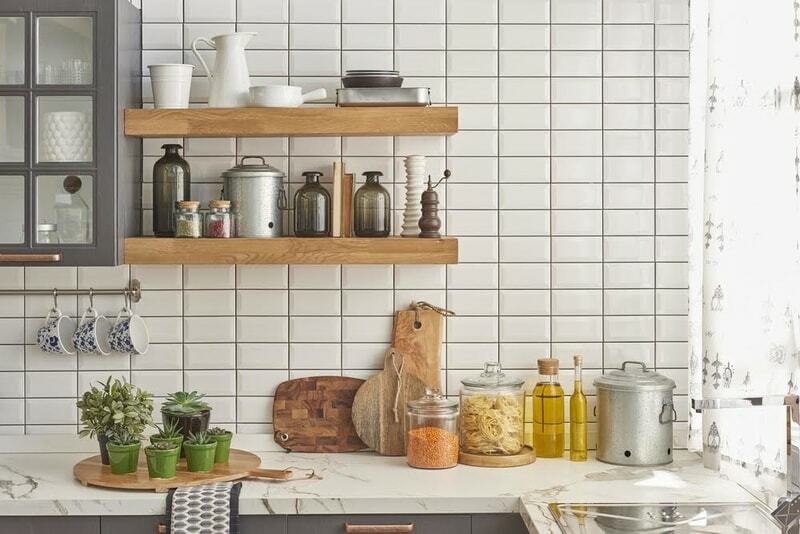 This unique versatility can give your kitchen an interesting look, at a fraction of the cost of tile. Put down carpet squares: Common wisdom is that carpet in your kitchen is never the best choice. Carpet squares can be an option to redo your floor inexpensively. Carpet squares can be placed over most types of flooring. This saves the costs of tearing out an old floor sometimes. Installation of carpet squares is another project most home owners can handle on their own, saving the cost of a contractor. Carpet squares can work in a kitchen since stains can be fixed by swapping out tiles. Use the slab: If your kitchen is built on a concrete slab consider tearing out the flooring completely. Your concrete slab can often be finished or painted to be flooring in its own right. These various concrete flooring options can be much less expensive than buying all new hardwood. 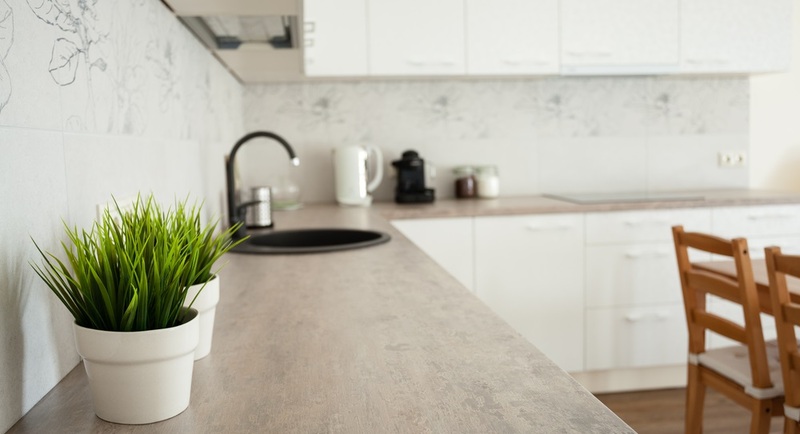 Concrete floors can be given a wide variety of finishes that will compliment almost any kitchen. The only drawback can be the hardness of the surface, this can be fixed with a couple of good rugs. Remove clutter for a better look: One of the most inexpensive ways to make an impact is to take out the clutter. Almost all kitchen remodels you see pictures of have taken this step. Clean countertops, and a minimum of small appliances such as blenders and toasters give your kitchen a more professional and upscale look. As you remodel, build in enough storage so that you can keep things in a cabinet. Go for the temporary island instead of built in: If you decide your kitchen needs an island, consider using a temporary style island. This type of island can be found for much less than a full cabinet island. A kitchen island can range from $800 to $2500, while a temporary island runs from $200 to $400. Explore your local antique store for a taller than normal table that will work as a kitchen island. Pot and pan hangers: Another way to save is to put up some hooks for pots and pans instead of adding another cabinet. This can be an interesting and attractive look for a kitchen. It can keep your costs down and your style up. This can either be an option you put above a kitchen island, or above the counters. Use designer paper inside cabinets for a new look: Another option to replacing your cabinets is to paint the outside and give the insides a fresh look by using designer wallpaper. This idea can give your cabinets an interesting and one of a kind look without incurring the costs with a custom made replacement. Your kitchen remodel doesn’t have to break the bank. There are a lot of ways to save money on your kitchen remodel. We offer these 42 different ways to save a bit of money. Not every tip or suggestion may apply to you, but those that do can save you hundreds or even thousands of dollars. Every kitchen is a unique experience. There is no one size fits all approach. To save money, be aware of your own situation. Research is the most important aspects of any kitchen remodel. Through careful research you will avoid making mistakes, selecting the wrong materials, and doing things that will end up costing more in the end. Planning saves money: The best way to save money is to take the time to plan. Planning avoids expensive mistakes, and ensures you get the materials you need when you need them. It can take months to properly plan. It takes careful, thoughtful research to create a good plan. Buy what will be useful: Avoid the temptation to buy the most expensive appliances. While it might seem cool to buy the ultra gourmet ovenator 2000, do you need it? If you only bake muffins occasionally don’t waste money on more of an oven than you need. Spend more on those items that last longest: When making decisions on where your money is best put to use consider how long something will last before replacement. Put more money into those items that will last the longest. Go with veneer cabinetry instead of solid wood: Most people can’t tell the difference between a veneer cabinet and solid wood. This means you can take advantage of this and save money by selecting veneers instead. Make sure that you don’t try to take this too far though. Stick with plywood veneers and avoid particle board options. Buy aftermarket drawer inserts: A lot of newer cabinets come with upgrade options for custom built drawers. These drawers are designed to hold knives, or spices. You can accomplish the same goal by purchasing aftermarket options. This can save hundreds of dollars on your cabinets. Pick your products before renovation: Before talking to a single contractor select your products. When you go into conversations knowing exactly what you want, you avoid having a contractor talk you into more expensive options. Have a firm decision on what you want, and only change if it makes sense for you, not for your contractors. Repaint cabinetry white to make it look current: If you are planning on keeping your cabinetry, often white paint can make a difference. Strip down your cabinetry, put a coat of primer on and you can often keep your current cabinetry. Keep the structure, replace the doors: With the above in thought, you can also save money by just keeping the structure. The actual “boxes” of your cabinets aren’t what most people see, they see the doors. So, that in mind, worry more about the doors. Use your own remnants for accent pieces: The leftover pieces of your projects can often be used to make accent pieces for your kitchen. Left over granite or marble can become unique cutting boards. Boards can be repurposed and used as additional moulding pieces. Find floor models or scratch and dents: Deals are sometimes found on the floors of your local appliance store. Floor models or the scratch and dented returned models are normally still good enough for a normal kitchen. Save some money and offer to purchase a floor model and see if they sell their scratched or dented models. Keep the floors if possible: If you have hardwood flooring, even though it’s not the best option, keep it. You can sand and re-stain hardwood flooring. Often many home buyers even prefer this to new hardwood. The small pits and marks give a floor character that a lot of people find attractive. Take advantage of wall lines to stop backsplashes: Where walls meet are natural stopping points for backsplashes or other features. This allows you to use less of your backsplash materials since you don’t need it for every wall. Take advantage of these visual ending points to reduce the amount of material you need. Make better use of your space: A major cost is often encountered when you start trying to make structural changes. Moving walls is a costly endeavor. You have the actual cost of the construction, architect fees, and permitting costs. instead of moving walls to get more room, maximize the space you have. Invest in more storage or consider removing that island. Consider a light tube instead of windows or skylights: Adding in a window or a skylight is another expensive structural change. You can avoid this cost by putting in a light tube. A light tube brings the natural light into your kitchen without cutting through exterior walls, or moving rafters. Reuse and recycle: Save money by reusing items from other projects. It’s easy to find recycled material. Homes for Humanity operates a chain called ReStore that sells gently used items. You can save a lot by checking this option out as you look for materials. Also, consider if you can re-purpose things from your own home. If you are looking for an island, a kitchen table might be able to be re-purposed. Save money on disposal by recycling: Another way to save a bit is to recycle. Donating your materials to a place like Habitats for Humanity usually means you don’t have to pay disposal fees. While this is not thousands of dollars it can mean the difference between a $100 dollar faucet and $200 faucet. Do demo and prep work: Every hour of work you do yourself, you save in your budget. If you pay general contracting workers to do demo and prep, that’s money you can save if you do it yourself. Demo and prep work are not skilled tasks, almost everyone can manage these simple tasks. So save some money and do that work yourself. Consider the cost over lifespan: Sometimes it seems like it is more expensive to get quality materials or appliances. What you have to keep in mind is how much something costs over the entire lifespan. Items that need periodic upkeep should have these costs included in your calculations. Remants: If you are able, check for remnants. These are the left over materials from other remodels. These are not recycled materials or reused. These are the unused portions of larger lots. These can be found through contractors or sometimes big box chain stores. Use regular instead of recessed lighting: Recessed lighting is more expensive. If you can, go with standard lighting instead and save yourself money. Each recessed light can run over $100 a piece. Use a kitchen designer: It might seem strange to give advice to spend more money in a money saving article. A kitchen designer can save you money though. By knowing what will work, and what won’t work this skilled professional can keep you from making mistakes. Do all the work you can: Just like doing the demo and prep yourself, every task you can do is one you don’t have to pay someone else to do. Be honest with yourself and your handyperson abilities. It can often cost more to fix something that you shouldn’t have tried to do. That being said, if you can do something, it is cheaper to do it yourself. Save on transport costs: An easy way to save some money is to transport things yourself. Even with the cost of renting a truck you may be able to save some money overall. Picking up materials and appliances, and driving waste away, can be time consuming. Often stores will load it into your truck for you, so don’t worry if you aren’t up to much lifting. Use a wall prep covering like texturglas: Getting your walls smooth enough for a new coat of paint or new wallpaper can sometimes be difficult. It can sometimes take hours of sanding and refinishing, fixing tiny dents and scrapes to get a wall ready. Select mimic material: Sometimes you like the look of a material, but it is too expensive or not right for the situation. In these situations explore materials that mimic their more expensive counterparts. Ceramic and Porcelain can often be made to look like other materials. For flooring, laminates and linoleum can give you the look of an option without the cost. Do your renovation at the right time of the year: To save some money, take advantage of end of the model year savings. If you can’t wait until then, try holiday sales as well. Most of the holidays that don’t have celebrations have become sales holidays, something to take advantage of. Keep plumbing where it is: One of the more expensive things you can do in your kitchen is move the plumbing. If you are trying to save money, you need to leave your plumbing where it is. This means leaving your sink where it is, and working around this fact. Use stock sizes or multiples of them: When planning your spaces, try to take advantage of the stock sizes for the materials you choose. By sticking to this rule, you won’t be left with half boxes of materials. Go to auctions: Another place to find discount materials or appliances can be at auctions. This may take a bit of research to find a local auction, but it can often pay off in the end. A great way to find them is often to ask your contractors, who are more hooked into these events. Be sure what you want before you contract: Make your choices before you go to a contractor. Decide what you want in your kitchen before approaching a contractor. Bring pictures, drawings, and other examples to give them a clear understanding of what your choices are. This focuses your conversations and gets you a much better quote. Check references to avoid contractor problems: Before hiring a contractor always check references. It is sad but true, but you often get what you pay for. A contractor coming in with a really low bid is often too good to be true. Ask for references, and then check them. Use ready to go cabinetry: When you can, going with ready to go type cabinetry can lower your cost. More importantly depending on your original choices they can be half the cost of custom constructed solid wood cabinetry. This isn’t always the most luxurious option but when you are going for savings it is a good choice. Consider open shelving: To cut down on costs you can also select open shelving. By selecting this option, you save on the costs of the doors for your cabinetry. Open shelving also has an added benefit of making your kitchen seem larger. 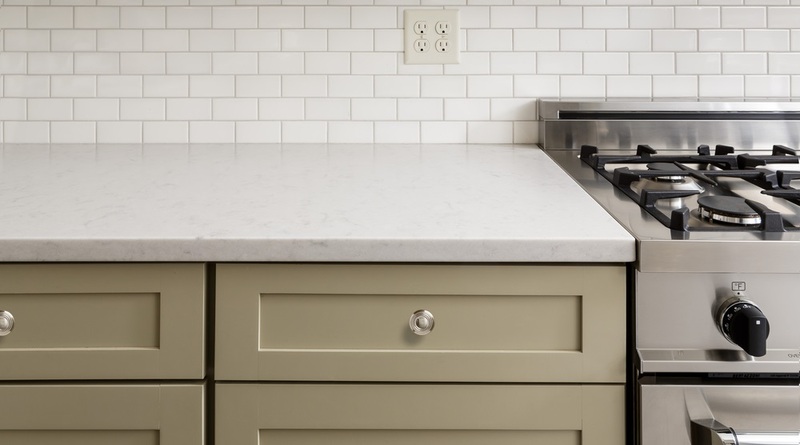 Use two materials to cut down on countertop costs: If you like the look of marble, but don’t have the budget to put it all through your kitchen try using different materials. With some design choices, it’s possible to put your expensive options in only parts of your kitchen. 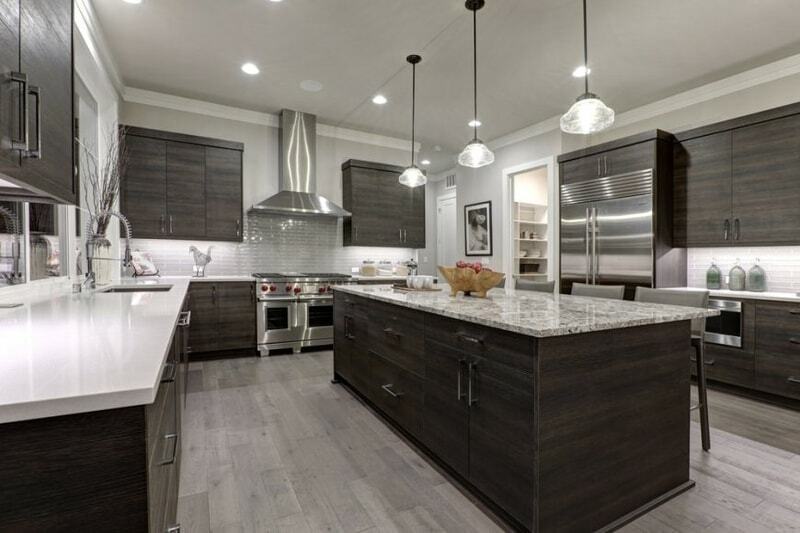 Your countertops can be marble, while your island can be a wood that complements this choice. Cutouts are cheaper than removing the whole wall: Sometimes removing an entire wall is an expensive option. Moving a structural wall can cost thousands of dollars. To open up the area without this cost go with a cut out. A cut out will open the room by creating sight lines into adjacent rooms. Go for track lighting: Track lighting, while not the most luxurious, can be an economical option. Track lighting can give you more direct lighting where you need it. This is a reasonable choice that lays between the cost of recessed lighting, and the cost of pendant lighting. Discounts for appliance sets: See if you get discounts for getting all of your appliances at the same company/site. Also see if you get a discount for getting all of your appliances from the same manufacturer. Take advantage of installation with purchase options: Most places offer installation services for appliances that you buy. Compare the cost of their installation with your contractors. Often the store installation is a better deal. Try to buy materials directly to get additional savings: Try to find wholesale and distributor sales online or in your local area. Sometimes you can get a bit of a discount by going directly from the manufacturer. This works best for natural stone, and some flooring options, especially hardwood flooring. Plan a makeshift kitchen to save costs of eating out: One of the hidden costs of a kitchen remodel is the cost of eating out. Once your kitchen has been demolished you obviously are not going to be cooking there. Depending on the length of your remodel, eating out can be a large expense. Save yourself some and make a kitchenette somewhere. A hot plate and microwave and your kitchen table in the basement can save you hundreds, sometimes a thousand dollars. Use a sheet material for backsplash: While tile backsplashes are always something desired, sometimes it is not in the budget. When your budget doesn’t stretch to a tile backsplash consider a laminate or linoleum. Both of these come in a wide variety of colors and styles. Splurge on the sink not the faucet: When deciding where your money belongs, you will save money by splurging on the sink instead of your faucet. The reason for this is that faucets are easier to replace than your sink is. By spending more money initially on the sink you save over the long term with the replacement costs. Remodeling your kitchen is a good way to increase the value of your home. According to recent estimates you can expect to recoup up to 80% of the money you put into the project. This percentage is not a hard and fast rule. As for what elements of a kitchen remodel give you the best return on your investment, this is not a simple question. It can vary widely depending on a lot of different factors. When you are truly looking to increase the value of your home, you must keep in mind that it will not be your personal tastes that matter. Every decision you make must be firmly based on getting the maximum return on your investment. This requires careful research. Look at the average kitchen in your area and make your kitchen better than these kitchens. It is not always about putting the costliest option into your kitchen. Many times it is better to go for a mid range option in one area, and in another area splurge. When you get this balance between cost and benefit right, you maximize the impact on the value of your home. Getting this balance wrong means you spend too much, and you get less back on your investment. Taking the time to research, ask the right questions, and get the right answers is one of the most important aspects. Talk to real estate agents: Make sure you are putting the right pieces into your kitchen for your location. Talking to a local real estate professional is a great step in planning your remodel. Going only by your personal preferences you can make choices that nobody is looking for in your area. Speak to a local real estate agent and get them to give ideas on what buyers in your area are looking for. Prioritize based on resale not personality: Even though this was pointed out above, it is so vitally important it deserves to be said again. When you are remodeling, you must put aside personal tastes. The best return on investment will occur when you make the choices based on what will help your home sell for the best price. Keep colors and styles simple: Modern trends and designs are more neutral in colors and styles. 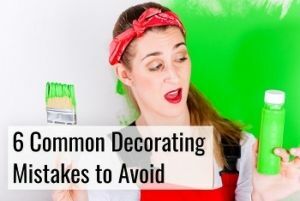 Forgetting this and going for any sort of unique color scheme may hurt the resale value of your home. Select a simple flowing style that isn’t overly specific to any one design. By keeping your design choices simple and elegant more buyers will be interested, increasing the value of your home. Don’t go to cheap, or too expensive: Although your first impulse may be to simply buy the most expensive options, this is not always best idea. It is also not the best idea to buy the cheapest material possible and hope that you get more than its value in the overall remodel. Buy appliances that make sense, not just whatever is most expensive in the catalog. Finding the right selections at the right price is your goal. To open the kitchen, or not: This is not as simple of a question as it may seem. While many home owners are looking for the open concept home, removing walls is expensive. There are also very valid reasons to leave your kitchen with the walls intact. Slate has the best explanation of why you should leave your walls intact in this article. Try for granite: If your budget is large enough to afford it you should go for granite countertops. Your countertops are one of the most visible parts of a kitchen remodel. This means when you splurge, one of the things that you should splurge on is your countertops. You can often get the best return on your investment by selecting a lower quality stone. Stone that is a 2 or 3 may be something you can afford. This will give you that natural stone many buyers look for at a reasonable cost. Buy appliances which will last: Be realistic in your cooking dreams. Very few people actually need a full gourmet kitchen. You can often achieve the best return on your investment by buying upscale appliances that are durable and long lasting. By avoiding the gourmet and going for what your buyers will actually use you often get the most for your money. 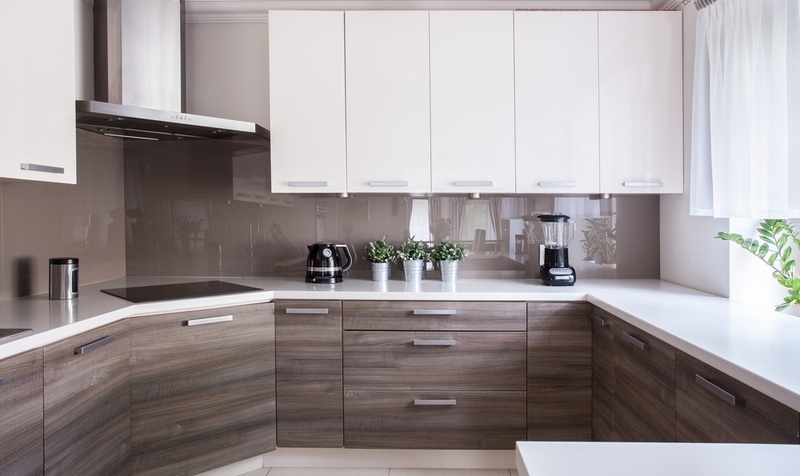 Splurge on cabinet functionality: While replacing your cabinets does not often give you the maximum return on investment, this does not mean you can’t make good choices that improve the value of your home. Keeping the cabinets but replacing the doors with soft closing ones can update your home. Adding drawers into the bottom cabinets can improve the value of your kitchen as well. As long as the structure is sound the cabinetry often can be refinished. Don’t confuse the buyers: Look for ideas in a similar style to your home. Avoid putting a contemporary style kitchen into a colonial style home. Potential buyers look at your home based on the exterior, and expect that style to be present in the interior as well. Only a small portion of potential buyers are looking for a kitchen that is radically different than the style of their home. Never forget a wow or two: Just because you should keep the styles and colors simple enough to appeal to a wide audience doesn’t mean you shouldn’t have a few wows. Planned carefully a couple of standout things in your kitchen make it seem exciting and interesting. So go for more expensive knobs, or unique pendant lights. The best “wow” is one that a potential buyer can replace fairly easily. So that even if a buyer doesn’t like that element they know it is something they can replace after the sale closes. Examine your kitchen for what is really wrong before starting: To have the most impact on the value of your home, look at your kitchen for what is wrong. Functionality is the main consideration that you must address. A beautiful looking kitchen that doesn’t have the right flow won’t improve the value of your home as much as a good looking kitchen that someone enjoys cooking in. Research what will actually save money: As you look for ideas, you must do research. This includes looking at comparable homes in your neighborhood. The goal is to be just a bit better than your neighbors, not to price your home or kitchen out of them. Look at the kitchen appliances in your neighborhood. Go one step up from those appliances. Once you know what to buy, then research ways to get it the cheapest. Look for remnant sales, auctions, contractor sales or any other way to get it at the best price. Every dollar you save improves your return on investment. The best kitchen remodel ideas that increase home value are those that work for your home. There is no one idea that will fit every home. Keep in mind these different ideas as you plan. A properly planned project can increase the value of your home up to 80% of the money you put into it. This is not a task to be entered into blindly. Your kitchen remodel is not a simple task. Prepare yourself with these 50 tips. We have pulled together the best tips from every resource we could find to make sure your project goes great. It is a chance to turn something you dislike, into a showpiece for your home. You can recoup up to 80% of the costs if you do it correctly. So take some time and go through these tips and hopefully they help you make your kitchen into the centerpiece you deserve. Put things close to where they are used: Storage needs to support function. When selecting cabinetry, especially specific types of storage keep this in mind. Pots and pans should be near the stove. Flatware and glasses should be placed near the dishwasher to make this task easier. Have walking space: Paths to walk through the kitchen should be three feet wide. By cooking surfaces these paths should increase to three and half feet to approximately four feet wide. This gives enough space according to the National Kitchen and Bath Association. Make sure to check your local building codes to make sure you don’t require more space than this. Consider function: When putting appliances into your kitchen, place them in spots that support their function. Cooking areas shouldn’t be in high traffic lanes. The refrigerator is best placed on the edge of the space so both those working in the kitchen, and those just passing by have access to it. Select the right height: The height of stoves, and microwaves is something that can affect your kitchens functionality. Place these in ways that best support your kitchen. If you wish small children to be able to use your microwave you need to position it so they can reach it. Check your clearances: When putting cabinets into place make sure that you can open all the doors. That doors don’t hit each other, especially in the corners. Take into account how your dishwasher and stove may open, and if it will interfere with your cabinets. Island Living: As you remodel, decide on the purpose of your island. Is it to be used as your cooking area, or is it a dining area? How you design your island depends on the answer to this question. If it is a dining area ensure there is enough clearance from a stove top to do so. 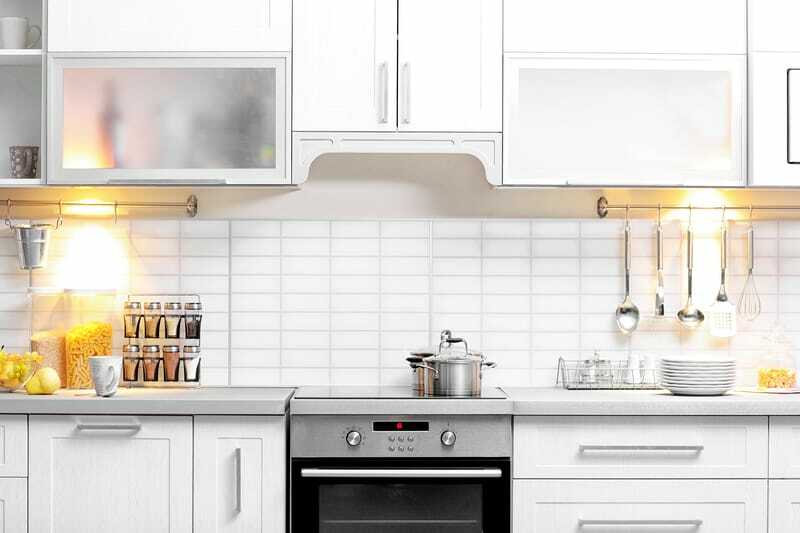 Give yourself room: Space is also a consideration when you place your cooktop and refrigerator. You should allow at least 15 inches to either side of your cooktop and refrigerator for people to place things. You should also leave this amount of room by your microwave. Countertop depth: The depth of your countertops should reflect the amount you cook. If you are an avid cook, you require a wider countertop that allows you to put bowls and kettles out. If you only cook large meals from time to time, don’t waste the square footage on deep counters. Consider a second option: If you have a high traffic kitchen, and are an avid cook, you may benefit from a second microwave, or a mini fridge off to the side. This will allow family members to get drinks, or make a quick snack without interrupting the cooking being done on a larger scale. Keep things in reach: A well placed shelf or some hooks will keep what you need close to hand. Have spices and other necessary items in places that you can easily reach from your cooktop and stove. Pot fillers are a plus: A swing out tap called a “pot filler” can be something that helps a cook. Instead of having to carry water back and forth these pot fillers are able to fill at the stove itself. They also lend a bit of a luxury feel to a kitchen. Knife Storage: Spend a bit extra on a dedicated knife storage drawer. This keeps your countertop clear of a knife block. It also ensures you keep your knives organized and out of the reach of any small hands that may come by. Recycling drawer: Spend a bit extra for a dedicated recycle drawer. This makes your kitchen a bit less cluttered. A roll out recycling drawer by the sink is an effective place that helps the flow of your kitchen. Outlets: Make sure you put enough outlets on both the backsplash and the island. It is very rare for anyone to stand around their kitchen and say “well there are just too many outlets”. When thinking about outlets it can give your kitchen some extra pizazz to have ones that are USB ready. Think about cleaning: The countertops and flooring you choose need to be functional as well as attractive. Unless you are a couple without small children around consider if the marble you pick will stain easily. Also think about the long term, how difficult is it going to be to clean? Your best choices are those that clean easily, like granite for stone, or even formica countertops. Break up large runs of cabinets: Visually a long run of cabinets can seem boring. Take this into consideration when placing your stove and dishwasher. By putting them in places that break up runs of cabinetry you give your kitchen a better visual appeal. Don’t forget a wow: If you are remodeling for the best resale value, don’t forget a wow. 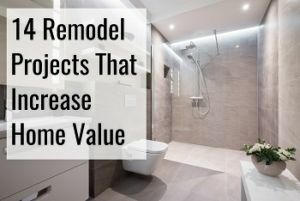 The best home remodel that increases home value is one that appeals to the most buyers. This is necessarily a sort of simplistic style and neutral tones. Don’t forget to include some sort of wow factor. This may be pendant lighting that is unique, or knobs and handles that give some extra style. Planning is important: There is no tip more important than to plan. Every other tip is part of planning. Taking the time to carefully plan will be of great benefit. From ensuring that you get the correct materials, to coordinating the best contractors. Your planning will have rewards far beyond what you may have thought. Study your current kitchen: Before beginning, take the time to study what doesn’t work in your current layout. Is the dishwasher too far away from the dish cabinets? Is there not enough room to walk? Address these issues in your plan. It is not enough to look good when you are done, it should improve function as well. Hire a contractor: Although you can save money by doing much of the work yourself there are limits to what is possible. Be realistic about what you are capable of doing on your own. When in doubt, hire out. You may be able to save money by doing it yourself, but you may also spend more having someone fix what you did wrong. Don’t overspend: Your remodel shouldn’t be making your kitchen worth more than 6% of the value of your home. This should be your starting budget number as you plan for what to do in your kitchen. 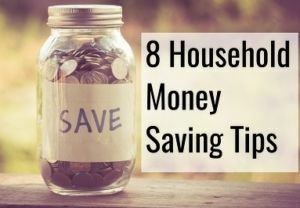 This also means don’t overspend on your appliances as well. Purchase what you will use, what fits into your design, without trying to always get the most expensive option. Keep the style of your home: It’s often an impulse to design a kitchen of dreams. It is always best to stay in the style of your home though. If your home is a colonial style, putting in an ultra-modern kitchen will bring a lower return on your investment. People expect the insides of a home to flow with the exterior. Take advantage of technology: Judicious application of the newest technology can have a large impact. If you can place this in the context of your kitchen you will improve the overall impact of your remodel. Keep plumbing in place: Unless there is a good reason, you should leave your plumbing where it is. Moving plumbing can often come with significant costs. It also may require you to tear out the ceiling of the room beneath your kitchen. So unless it requires it, move other elements to fit with where your plumbing is. Have the right flow: Your kitchen is a work space. Your work space needs to have the right flow. As you remodel look at where you wish to put things and place them in support of this idea. Look at where it fits in the flow of your home as well. If possible keep your cabinets: If your current configuration works, save money and keep your cabinets. This works best if they are undamaged and able to be easily refinished. It is much cheaper to replace the doors than to do a complete replacement of all of the cabinetry. Get good hardware: Selecting good hardware can be the best use of some of your budget. Save money by selecting a simple cabinet door design, and pick good knobs and pulls that give your kitchen some style. Find the best advice: It is a great idea to find the best advice possible. This may include hiring a professional kitchen designer. At the very least take advantage of online forums that will allow you to ask questions, and get answers about what the best ideas are. Match your appliances: Avoid buying different brands of appliances. Mismatched appliances give your kitchen a look of being unfinished, or not well thought out. Use your appliances to tie the look together. Match your fixtures: The same thought about appliances goes with the fixtures that you select. Your fixtures need to be consistent and support an overall design. Determine cabinet heights: The height of your cabinets is not a fixed size. 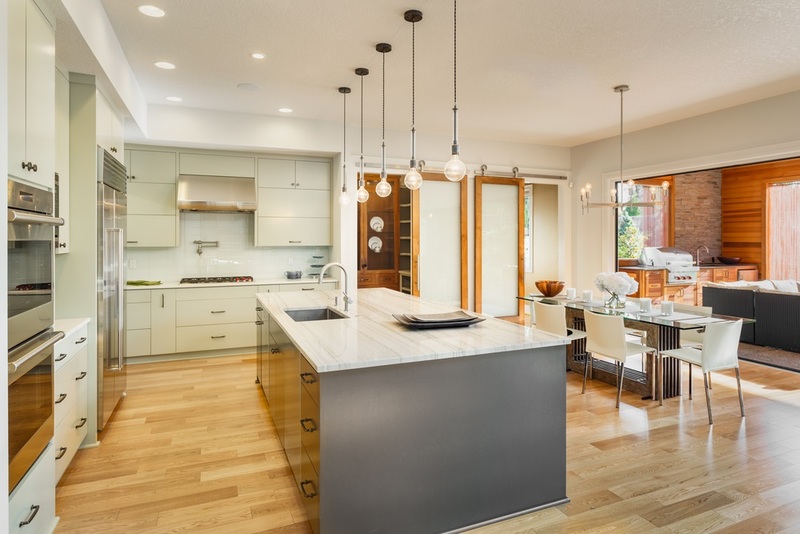 For eight foot ceilings, use the full height of the kitchen. If you have a higher ceiling, leave at least 15 to 18 inches of clearance between the top of the cabinet and the ceiling of your kitchen. 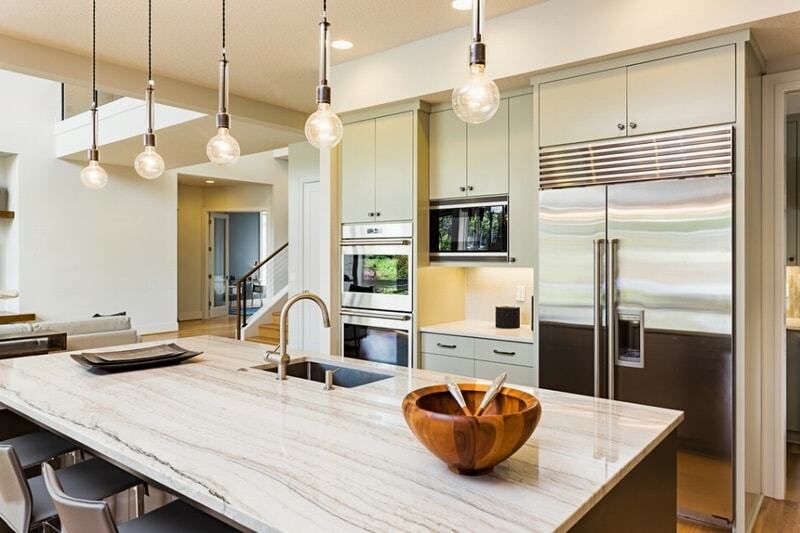 Countertops are important elements: Your countertops serve a dual purpose. They are part of the style of your kitchen, as well as being the primary work surface. This means if you have money to splurge your countertops are a good place to do so. Don’t forget the triangle: There is a good rule in kitchen design regarding the relationship between your stove, your sink, and your cooktop. This rule states that they should be equidistant from each other. The best distance is that this triangle is not, in total, more than nine feet. 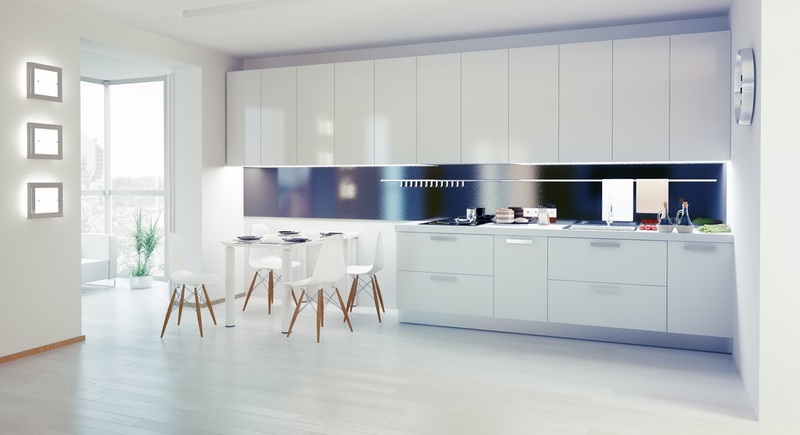 Ensure lighting works: Lighting your kitchen is an important consideration. You need a sort of overall light that provides comfort, and task lighting that supports your cooking. Recessed or pendant lighting can give you spot lighting on areas that you work in the most. The stove is a centerpiece: Your stove is a focal point in your kitchen. Make a choice that reflects this, treat it as a point of style. Whatever style your kitchen is striving for, select a stove that supports this. Visually if you are going for rustic, an ultra-modern stove will look out of place. Your floors have to stand up to the wear and tear: The floors of your kitchen must stand up to unique conditions. Not only does it need to stand up to foot traffic, it also must withstand pots and pans that are dropped, and the inevitable spills that will occur. Hardwood is not the best choice, despite what television seems to say. A tile, or even a laminate of some sort is often far more useful. 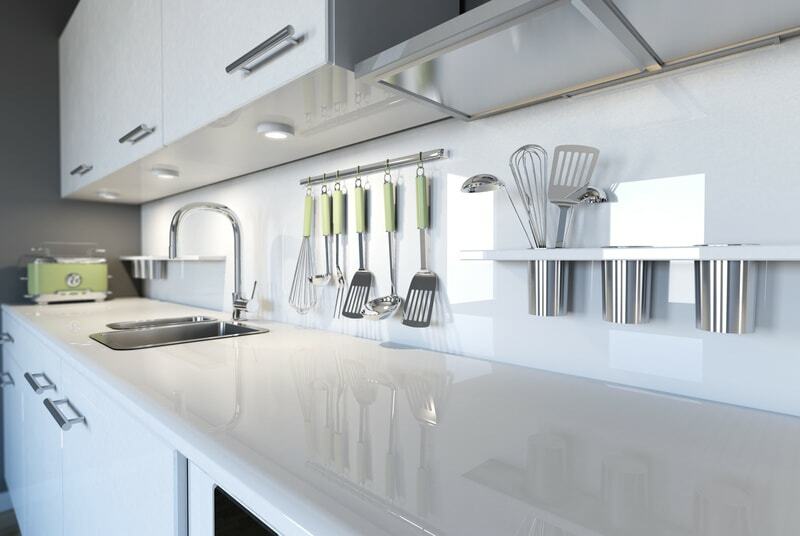 Keep the dishwasher to the right side of your sink: A small decision that is often overlooked is the placement of the dishwasher in relation to your sink. Most people are right handed. Putting your dishwasher to the right of your sink will make doing dishes less awkward. Select a faucet with one handle that controls hot and cold: Separate knobs for hot and cold water may seem cute or fit the style you choose. While cooking it is often difficult to quickly adjust the water temperature with one hand. Select a faucet that has one control that will adjust the temperature. Buy the appliances you will use: Most home owners do not need a gourmet kitchen. Avoid the cost of these appliances and select ones that work for normal cooking. A higher end appliance will still make your kitchen stand out, while being more useful. If you can afford it, gut it: If you have the budget to support it, your best idea is to gut your kitchen completely. Tearing it down to the studs will reveal any hidden problems. It is important to fix these issues. Research pays off: Research each part of your remodel to get the most benefit from it. Research the best prices for everything that you need. When looking for contractors, research them as well. Stone can be more work than it is worth: At first glance stone seems to be what everyone wants. Before you make this choice do some careful research into the upkeep that it requires. Some stone needs to be resealed periodically. Other stone must be cleaned only in certain ways, or shows stains merely from metal resting on them too long. Ensure you know what is involved for the stone you are considering using. Ventilation is important too: The ventilation is something you have to keep in mind. The cost of venting your kitchen to the exterior of the home is worth it though. Venting it to the exterior reduces the temperature of your home in the summer. This recoups some of the cost over time. Undermount sinks are easier to clean: An undermount sink has no lip to catch things. This helps you to keep your kitchen just a bit cleaner. Over time it also won’t require you to reseal the kitchen lip to your counter as well. Remember to keep your 20% cushion: In any renovation project, you should keep money in reserve. For a normal remodel you should have a 20% buffer to address those things that come up. These are cost overages for labor, or that extra box of flooring you didn’t calculate for. At the end, this money can be used for finishing touches or saved for the next project. Set up a temporary kitchen: Something a lot of home owners don’t think about is what to do while they are remodeling their kitchen. Make plans ahead of time for what you will do for this period of time. Setting up a small temporary kitchen in another room can save hundreds, even thousands, of dollars. Making a small kitchen area saves you the cost of constantly eating out through the time it takes. Floor models can be a great savings: A way to find some savings is to buy floor models. These appliances normally have very little wear and tear. However, since they are not able to be sold as “new” they can often be purchased at a discounted price. While a floor model is not always available, it is a great choice if it is. Consult an architect: A professional architect is essential if you are doing any sort of extensive remodeling. If you are moving a wall it is unavoidable. An architect will save you expensive fixes later on. Most building and zoning officials will require professional drawings to get approval for your project. An architect is who will prepare these drawings. Timing can matter: Take advantage of holiday sales. While not every home owner can plan their remodel around holidays, if you can you may find significant savings. Events like black Friday sales, and the odd holiday sale can get you discounts on major appliances and other materials. Make use of professional installers: When purchasing appliances, and occasional flooring or countertops professional installation is offered. Always take advantage of this if you are able to do so. This option is basically free labor that doesn’t come out of your budget.